Taking a short break from the football autographs (there will be more to come), the Minnesota Sports Holiday Show hosted two members of the Minnesota Timberwolves. 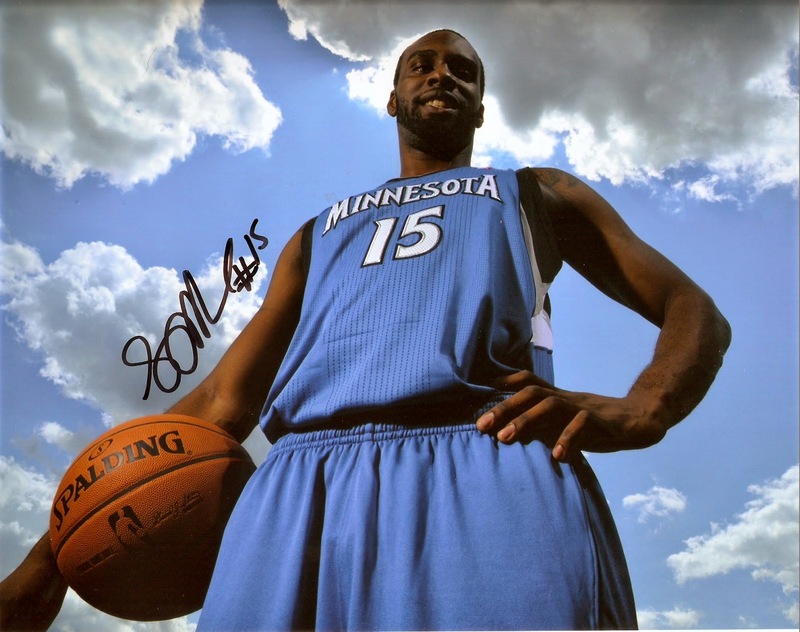 One of those players, Shabazz Muhammad, signed this 8x10 photo. Muhammad was selected in the first round (14th overall) in the 2013 NBA Draft after just one year of college basketball at UCLA. He began his rookie year with the Iowa Energy of the NBADL, but was called up in January, playing in 37 games with the Timberwolves, averaging 7.8 minutes played and 3.9 points per game.He has great;y improved this season, though, averaging 23.3 minutes and 13.7 points per game, and looks to be an important part of the Timbervolves' roster for years to come.